Hi Guys! 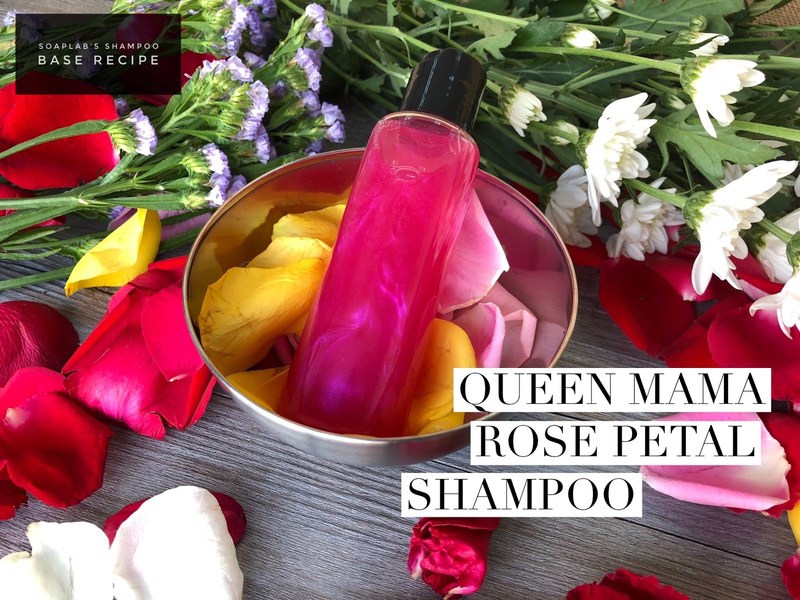 For Mother’s Day why not pamper your loved one by making her a luxurious rose petal shampoo, which will surely leave her feeling pampered and satisfied. In this recipe, our new base is making its debut. Introducing, SoapLab’s new Shampoo Base! This recipe will use our new Shampoo Base, perfect for all hair type. It moisturizes the scalp and helps prevent any irritations of the skin and at the same time, cleanses the hair. The next ingredient is Aloe Vera Extract, which is incredibly nourishing and moisturizing for the skin. Aloe Vera softens and strengthens the skin while also reducing skin inflammations.